In this guide we’ll be looking at how to start doing yoga at home for beginners.. When you make the decision to start doing yoga at home you should feel proud, optimistic, and excited to get started. Choosing to learn yoga is one of the best decisions you can make. After all, there are just so many benefits of doing yoga. And if you already do yoga in a studio class, you can use a home yoga practice for extra training. For best results, you can combine it with doing meditation at home. Here’s how. If you’re an absolute newcomer you might wonder what exact benefits you get from yoga. There are 13 different types of yoga. Some are good for beginners, others less so. Click the link above to read about all 13 major types of yoga. In that link I share everything beginners need to know to start doing yoga. Hatha yoga is all about basics. In Hatha yoga we move slowly, which is a great way to learn all the different asanas. Moves are also gentle so there is less risk of injury. Vinyasa yoga is a dynamic style of yoga that is a good cardio workout. Some exercises (like the Gymra yoga video on Youtube) can be more intense and will definitely get your heartrate up. When you’re a beginner learning yoga for the first time, it’s a bright idea to learn the technical details of each of the yoga poses, including posture, the names of poses, and how they work together in a sequence. Iyengar yoga is for beginners who want a technical understanding of the moves. In Iyengar yoga, beginners stay in poses for a long time so they can learn the precise moves properly instead of just rushing through them. Ashtanga yoga consists of six series of yoga poses that are done in a specific sequence. The yoga teacher leads students through each pose in sequence. This is arguably the most serious type of yoga and onne of the most spiritual too. Or maybe you’re a free-spirited rebel and want to try one of these crazy alternative style of yoga. Warning: Hot yoga (Bikram) is not ideal for beginners because there are many health risks involved. 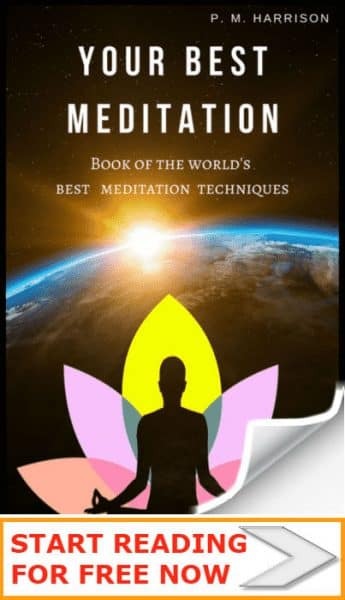 Thousands of THE DAILY MEDITATION’s readers have used our guide to creating a meditation space in their houses. You can use the very same meditation room to do yoga at home. From personal experience, having a special yoga room at home increases your motivation to actually do yoga every day, and it also makes it far easier because your yoga mat, blogs and other gear are all there ready to go without faffing around. Yoga uses very specific poses that must be done correctly. Many people start doing yoga only to get into an asana (yoga pose) that they are not comfortable in and they end up getting injured. You should never feel overly stressed when doing yoga. Yoga is about releasing tension in the body so it is important to be gentle with your body. If you feel that you are straining stop, or use a simplified version of the pose. It can be tempting to crane your neck in order to look at the video to work out what is going on. This is a mistake as it creates tension in the neck. If you need to watch a part of the video, stop doing the exercise and just watchm work out what’s going on then try again. Don’t crane your neck. Dont like getting hot? This yoga girl hasn’t even broken a sweat. Whenever you’re learning something new it’s worth finding a few people who know what they’re doing. Use online forums and facebook to find people in your area who do yoga. Ask them for advice. In my experience most people are only too glad to offer some advice and to show off their skills. So, that’s all the basics of yoga covered. Watch the video below, try out some of the moves and get started! That’s how I started doing yoga and it’s working great for me! Here is the best beginners yoga video on Youtube (by Adrienne). One of the risks of doing yoga at home is that you are more likely to injure yourself. In a yoga class the teacher can spot if you are out of alignment. But more beginners yogis will not know the difference between proper alignment and improper, and this could potentially lead to a spinal injury. That’s why it’s best practice to go slow when doing yoga at home, and always make sure you are comfortable. When practicing yoga at home, less is often more. The absolute worst thing is to end up with an injury because you’ve been practicing a yoga pose incorrectly. That’s why it is highly recommended to at least read a few high quality yoga books before starting, and to only ever do poses you are comfortable with. Yes, Formidable Face Pose looks amazing, but if you try it as a beginner you will probably end up with a spinal injury. Be safe guys! When it comes to practicing yoga at home there are certain poses that are more important than others. Try to incorporate these asanas into your home yoga practice. The basics: If you are an absolute beginner in yoga, use your home practice to get accustomed to the poses you will be doing in the studio. Practice downward dog, chaturanga, Warrior I, Warrior II, Warrior III and other poses that are commonly used in the studio. Sun Salutations: I personally love to wake up and get started on some sun salutations at home while the sun is rising. It is fantastic for positive energy. Hip openers: Many beginners yogi have problems with their hips. For instance, many people find it difficult to sit in lotus position for extended periods of time. One way to cheat is to use hip opener exercises (pigeon pose / lotus / Bharadvaja’s Twist) while sitting in your living room watching TV (as a little bonus to regular practice). And meditation: Many beginner yogis make the mistake of thinking that yoga is purely for the body. Actually the old texts state that yoga is as much for the mind as for the body. When we are in the studio yoga class we don’t have time to truly meditate. Five minutes at the end of a class is not proper meditation. That’s why yogis should learn meditation at home. Most importantly, when you’re just starting to do yoga at home as a beginner, make sure you have FUN! Whether you’re learning yoga to get fit or to relax your mind, make sure you actually enjoy it. The single most important rule for beginners yogis is to have fun. Because if you’re not enjoying it, there’s no point. 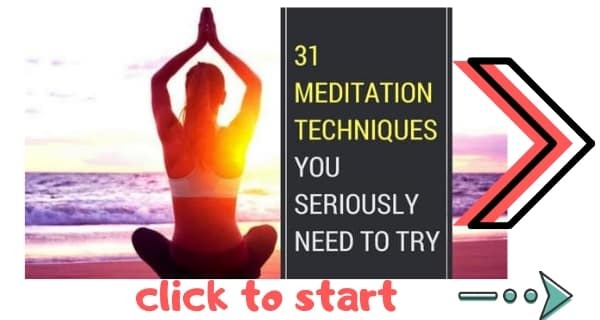 And now you’re a beginner-yogi, why not start learning meditation too.